A hundred years ago today, war declarations were going off like gun-shots all over Europe and young men were wondering what might befall them - imagining glory, fearing pain and horror, trying to decide what they might do if… Certainly never foreseeing anything to remotely match the forthcoming reality. 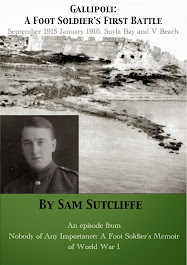 Remembering that in this early phase of the book, he wrote about himself in the third person as "Tommy", this is what got his attention and drew him into joining the Scouts, in Edmonton, north London, some time in 1910: "At about this time, on one of the very rare occasions when he stayed out after dark, he saw something that thrilled him: simply a boy standing under a lamp-post, with the gas light shining down on him, looking at a book – but wearing a uniform Tommy had never seen before. A hat with three dents in it and a wide brim; a bright-coloured scarf tied around his neck and hanging down the front of his shirt; short trousers held up by a belt; long socks and short boots; and in one hand he carried a staff, a pole. Tommy had to find out who he was, what he belonged to, and why he dressed like that. He couldn’t bring himself to approach the boy and ask him, but he soon found out that he must have been an early member of the Boy Scouts." Thus entranced, he soon persuaded his parents - who were just emerging from the depths of poverty which had assailed the family during my father's childhood - to let him join. After growing up wearing rather odd homemade clothes, he loved the smartness of the uniform and soon the Scouts became part of the fabric of his life, particularly because the Scoutmaster, Mr Frusher, was also the vicar who both ran the church choir and gave piano lessons (free to poor boys) which Tommy/Sam took up too. But above all he loved Scouting. And it gave him a whole new range of skills. "The Scouts demanded discipline – particularly self-discipline – of all. Any who rebelled against it, especially more senior boys, found themselves quickly turned out of the Troop. The Scoutmaster, Mr Frusher, believed that an older boy who elected to rebel against accepted rules of conduct would contaminate younger members and must be got rid of… He introduced new subjects to the Troop’s training schemes: so Tommy learnt signalling, semaphore and Morse code (the last, he particularly liked). Using flags — one for Morse, two for semaphore — and, at night, signal lamps, they sent messages across fair distances. Furthermore, after training at the church hall on Saturday afternoons, Tommy and other seniors could go to a rifle club where, for half an hour, they practised shooting on a covered range about 300 yards long, using old Army rifles (surplus from the Boer War, fitted with Morris tubes which allowed them to fire .22 ammunition). Supervisors checked their scores and entered them on competition cards. They paid a nominal sum for bullets used, but some kind person unknown had paid for their club membership. Dear old Frusher, they guessed…"
Later, my father recalls, he came to see the connection – more or less coincidental, he always felt – between these activities and the imminence of war: "Meanwhile, August of 1914 was not far off and a holiday with his Scout Troop an often anticipated treat to come. "However, he soon discovered that Scouts were not alone in camping out on the edge of London. Walking by himself one Sunday, Tommy came to a wide open space beside one of the main routes from London to the North and he saw with great excitement that this usually uninspiring area had become a town of tents; soldiers with rifles on their shoulders, men filling bowls with water from tanks on wheels, then holding the bowls for one another to help with shaving and washing. They emptied the used water into a large hole dug for waste disposal. 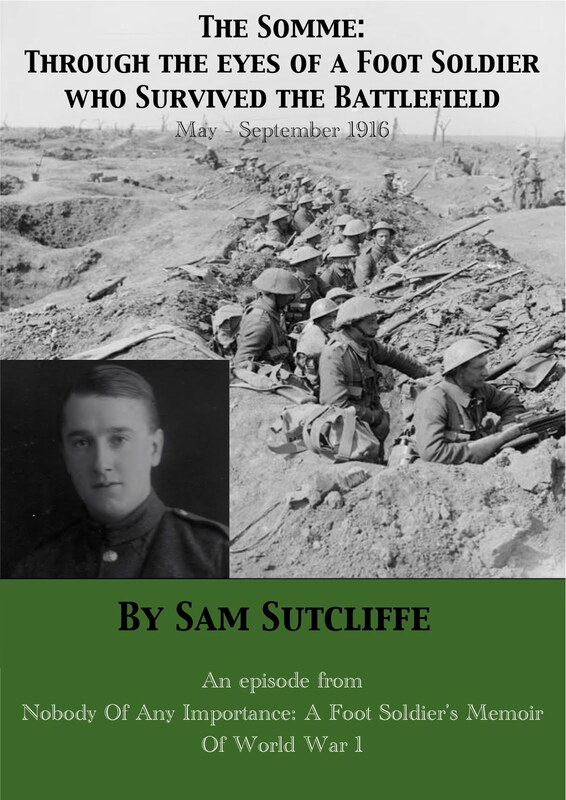 "Scouting, Tommy realised, had taught him a good deal that would be useful to a soldier. He could help erect a tent, use a rifle, and communicate efficiently by semaphore or Morse code or a simple field telegraph. 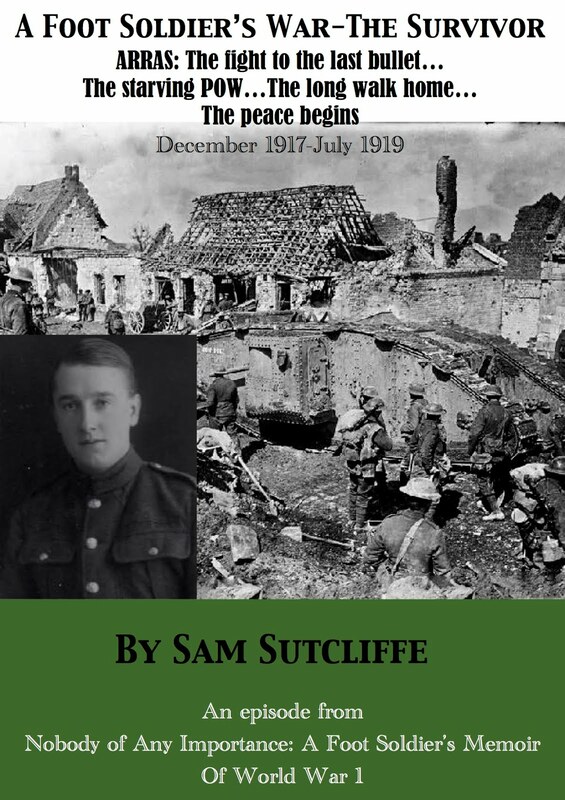 As a Patrol Leader, he had acquired the ability to stand up in front of a group of lads and give brief orders. "If any of these things might appear to have been intended to prepare youngsters for military service this was certainly not the intention behind Mr Frusher’s work. As a practising Christian, at heart a pacifist, he never said anything to Scout meetings about the war scare and the training had nothing of a military character to it — no yelling of orders or foot-stamping drill. Saluting, with three fingers raised and thumb and little finger touching, served as a frequent reminder of the three promises a Scout made when joining the movement. "Tommy, while savouring the excitement and deep interest he felt when observing the soldiers’ encampment, felt no desire to join them. 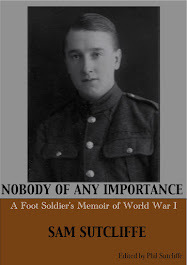 As far as he knew, drummer boy was the only Army job he might be eligible for." And a hundred years ago next week, for the British, what had long seemed inevitable became official: war.